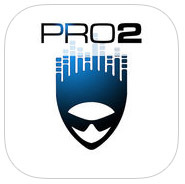 MDP2 (MIDI Designer Pro 2) is an app for building your own customized MIDI controllers for iOS devices such as iPad and iPhone. You can choose from tons of preset templates for popular hardware devices and software DAWs OR create your own. 2016-12-20: 50% Off (for now)!